I came to Baylor College of Medicine in 2010, having been recruited by the Section of Infectious Disease to start the HIV/AIDS transition service at Ben Taub Hospital. The goal of the service is to help link and ease the transition to care from inpatient to outpatient. In the first year of the service it showed a decrease in readmission rates by 17% and linkage to care of 70%. After that successful year running the HIV/AIDS service, I was asked to help with the educational initiatives of the National School of Tropical Medicine as co-director of medical education, and I also started the first tropical medicine clinic at Ben Taub Hospital. The mission of the clinic is to prevent, diagnose and treat common and neglected tropical diseases in the Houston metropolitan population and to improve occupational health for those working in regions where tropical diseases thrive. A Scott Lea, MD graduated from Baylor College of Medicine in 1975, he then completed his internal medicine residency training in 1979 at the Baylor Affiliated Hospitals in Houston, Texas. He was the Chief Resident for internal medicine at the Ben Taub General Hospital during the 1979-1980 academic year. He completed his infectious disease training at the Baylor Affiliated Hospitals in 1982 and then entered the private consultative practice of infectious disease in Waco, Texas, serving in numerous capacities within the community and its hospitals for 22 years. He served as the Public Health Authority for the Waco-McLennnan County Health District for 19 years. He joined the faculty at Baylor College of Medicine in 2004, and eventually became chief of the Baylor Infectious Disease Practice at both the Methodist Hospital and St. Luke’s Episcopal Hospital. He came to University of Texas Medical Branch in 2007 as an Associate Professor of Medicine where his special interests include Transplant Infectious Diseases, Wound Care, Surgical Infections, and the business aspects of Infectious Disease Practice. He is a member of the Infectious Disease Society of America, the Texan Medical Association, the Texas Infectious Disease Society, and the American College of Physicians. He has been named to both ‘America’s Top Physicians’ and ‘The Best Doctors in America’ on several occasions. This talk will go aver the events related to EVD since the outbreak in West Africa has almost dissipated. The talk will summarize the surveillance statistics in the Western World, Patients with residual Ebola virus disease and activities underway to better prepare all of us for future events. Dr. Lea will also outline ‘special pathogens’ that are considered candidates for causing future outbreaks, in addition to Ebola and Marburg. 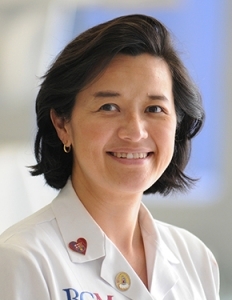 Dr. Armitige is a medical consultant at the Heartland National TB Center in San Antonio, Texas and President-Elect of the National Society of TB Clinicians. She treats TB patients at the City Chest Clinic in San Antonio and sits on the Advisory Council for the Elimination of Tuberculosis at the CDC. Tuberculosis has emerged as the number one killer by an infectious disease, eclipsing even HIV. While strides have been made in the management of HIV-coinfected individuals and children, much ground needs to be covered in managing drug resistance and treatment availability. The voices of the individuals who suffer from this disease need to be heard in the conversation to drive improvement. Dr. Crutchley graduated from Duke University in 2001. He then received his doctorate of Pharmacy from the University of North Carolina at Chapel Hill. 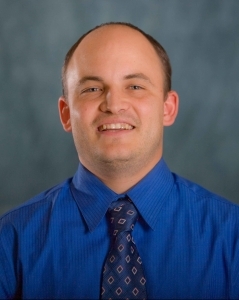 Dr. Crutchley continued his education further by completing his PGY-1 Pharmacy Practice Residency at the University of Texas at Tyler and his PGY-2 HIV Specialty Residency at the State University of New York at Buffalo. Since then, he has also completed a STAR Health Disparities Fellowship through the University at North Texas Health Science Center at Fort Worth. 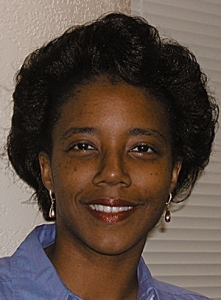 Dr. Crutchley is currently working as a Clinical Associate Professor at the University of Houston, College of Pharmacy. He works as a HIV clinical pharmacist at Therapeutic Concepts (private adult HIV clinic) and the Retrovirology Clinic at Texas Children’s Hospital with HIV-infected children and adolescents. Dr. Crutchley recently established a new and innovative PGY-2 HIV Ambulatory Care/Clinical Pharmacogenetics Residency Program at the University of Houston. His research interests comprise of complimentary alternative medicine/pharmacogenetic approaches including vitamin D, crofelemer and Polyphenon E (green tea) used to improve the quality of life and lifespan of HIV-infected patients. This session will provide an update on therapeutic management of HIV patients. Worldwide HIV epidemiological data will be briefly discussed followed by a snapshot of currently recommended antiretroviral regimens for treatment-naïve HIV patients both worldwide and within the United States. Key principles of pharmacogenetics will be briefly discussed outlining its role in optimizing treatment of HIV. Application of these principles will be shared using examples of some commonly prescribed antiretrovirals. Finally, clinical data on a potential new adjunctive therapeutic agent Polyphenon E (green tea formulary) for treatment of HIV will be described, including integration of pharmacogenetic approaches for optimizing its use.